Editor’s note: This story describes graphic allegations of sexual abuse. The settlement requires court approval before it is final. USC says anyone who received treatment from Tyndall for women’s health issues is eligible to receive compensation of $2,500. They aren’t required to provide additional information about their interaction with Tyndall to receive those funds. 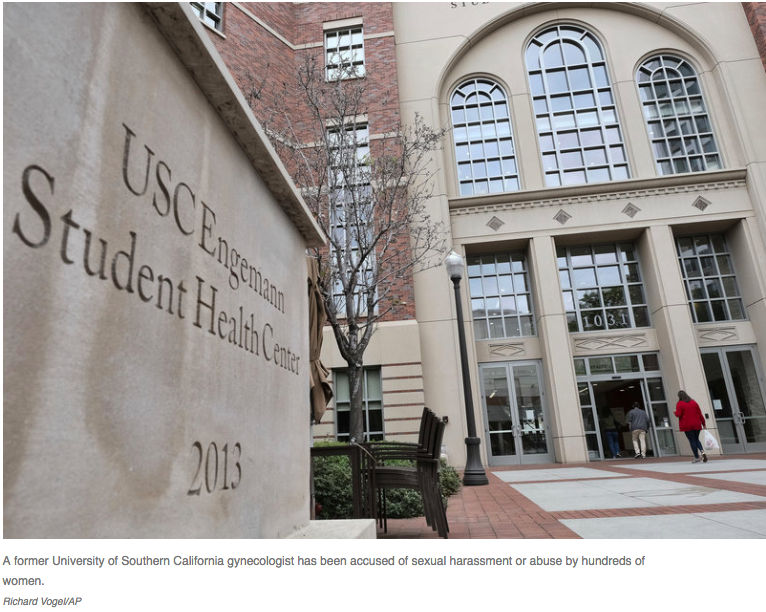 The school’s board of trustees said in May that then-USC President C.L. Max Nikias would step down, as the Tyndall scandal was unfolding. The interim president, Wanda Austin, said in a statement that the settlement is intended to provide relief to those impacted by Tyndall’s actions. “We are continuing to vigorously litigate our state cases for numerous victims and we will insist that each of our clients be properly compensated for what they were forced to endure,” attorney Gloria Allred told the wire service. It likely would take a while for those eligible for money from this settlement to actually receive it — according to USC, the court approval process “can take six to eight months.” The university is also offering free counselling and support services to former patients of Tyndall.